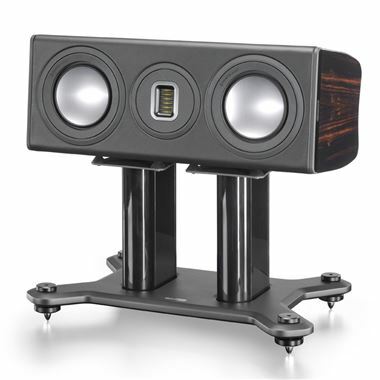 Monitor Audio Platinum PLC150 II Centre Speaker. 0% Finance available - Contact us for details. Now the soundstage is complete, the drama can begin. Between PL200 IIs or PL100 IIs in a multichannel AV system, the Monitor Audio Platinum C150 II will imbue dialogue with a natural intimacy while pans and effects remain stable and supremely consistent. Equipped with a driver configuration of 6.5” RDT®II bass driver, 6.5” RDT II bass/mid and MPD tweeter, the PLC150 II will complement its left and right channel counterparts to create a seamless unity of sound, which weaves your senses with every scene. Film action and music is charged with a new emotional gravity that will prove irresistible.